American rapper, J. Cole delivered a special performance at the recently held Castle Lite-organised Lagos concert which saw a crowd of Nigerians, cheer him and rap along to his rendition. 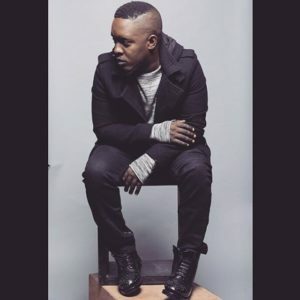 This has sparked a conversation about the rap culture in Nigeria and M.I Abaga joined in the talk. For most part of 2017, M.I Abaga was having a public conversation about the dying Hip-hop culture in Nigeria. The conversation started after he released a controversial song titled ‘Fix Up Your Life.’ On the song, he called out Nigerian rappers, urging them to do more to raise the standard of the genre. Nigerian rappers of all stature reacted to this call in different ways, Phyno, Vector, N6, Dremo are among those who reacted. The popular opinion was that rap music is not exactly marketable in Nigeria and it is difficult, especially for the rappers, not to commercialize their craft. In a followup tweet, he left a point of note for rappers that even with the tough market condition, the quality of rap music in circulation needs to be improved on.